By the end of the 17th century, sultan Moulay Ismail decided to forcibly enslave all «blacks» in the Kingdom, including those who were free. Inspired by the Saadi dynasty, the sultan wanted to create an army based on slavery which angered Muslim scholars in Fez. When Alaouite sultan Moulay Ismail ascended the throne after the death of his half-brother, sultan Moulay Rachid in 1672, he had big ambitions to gather a strong army. His plans couldn’t see light without the restoration of slavery in the Kingdom, an idea that was mainly inspired by the Saadi dynasty. 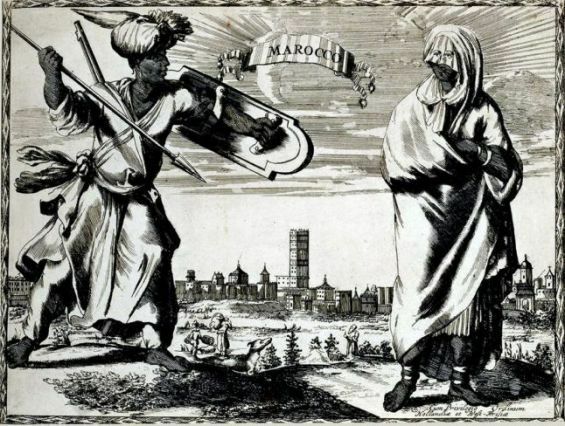 By the end of the 17th century, and after taking control of Marrakech, the powerful sultan decided to create a register for slaves, purchasing all black slaves and enslaving those who have been freed by their masters. 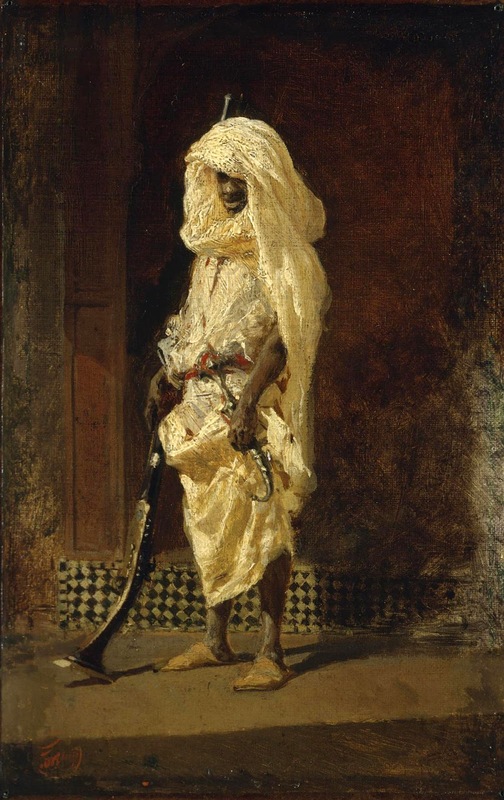 The idea of establishing a militia composed of slaves grew on him while visiting Marrakech, recalls a book by UNESCO, titled «Africa from the Sixteenth to the Eighteenth Century», (University of California Press, 1999). In the city, that was once a capital of the Saadi dynasty, Moulay Ismail met «one of the secretaries of the Makhzen, named Mohammed ibn al-Kasim Alilish, whose father had been secretary to the Saadi ruler al-Mansur». Alilish told the Alaouite sultan that he has a register that contains the names of slaves, the Saadi sultan used as soldiers for his army. The project looked appealing to the sultan who decided to build his own «black militia», relying on Alilish. Indeed, the latter was «entrusted with the task of tracing these men, of whom they were still many in the Marrakech area, and enrolling them», the same book reported. But the most shocking aspect in Moulay Ismail’s plan was the fact that he wanted to forcibly enslave those who were freed, including Haratin. In a study entitled «The Register of the Slaves of Sultan Mawlay Isma‘il of Morocco at the Turn of the Eighteenth Century», (Journal of African History, 2010), history professor at the School of Historical, Philosophical and Religious Studies at Arizona State University Chouki El Hamel made mention of Sultan Ismail’s slavery projects. 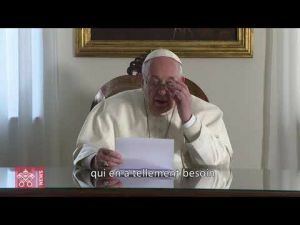 El Hamel wrote that «in order to consolidate his power and unite the country, Mawlay Isma‘il forcibly conscripted or enslaved blacks and the Haratin throughout the country in order to create a ‘slave army’ and ensure his own survival». 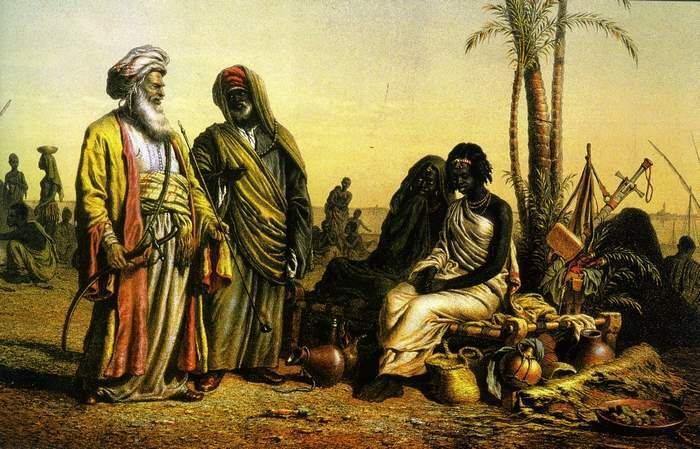 According to the historian, Moulay Ismail's plan saw light in 1673 with the help of Alilish, who in only one year managed to gather 3,000 blacks. «Alilish wrote down their names in a register and sent it to the Sultan who was pleased with the success of the mission», wrote El Hamel. The next step was to purchase female slaves for the single blacks, who were sent to Meknes to serve the sultan. Giving more details, the historian explained that «blacks who were in someone’s possession were bought at the price of 10 mithqals per person, male or female, and free blacks or Haratin were collected with no payment to anybody». The same process was carried in the rest of the country. Once grouped in Mashra’ ar-Ramla, west of Meknes, these slaves were trained to become soldiers, Bukhari soldiers. This appellation was given to these men after the sultan «gave them a copy of the Imam al-Bukhari’s book and said ‘You are now slaves of the Prophet; you follow what he said and avoid what he forbade’», he recalled. However, enslaving free blacks and Haratin stir tensions up in the country, mainly between Moulay Ismail and Muslim scholars in Fes. According to UNESCO, the Alaouite sultan was «convinced that he was acting in accordance with Muslim law», while Ulama saw that his decision violated the Islamic legal code. The «heated debate» between the ruler and Muslim scholars was visible in a letter sent to Moulay Ismail by Sidi Mohammed ibn Abd al Kadir al Fasi in July 1693. In this letter, the scholar told the sultan that «the law did not allow free men to be reduced to slavery», the same book recalls. Convinced of the legitimacy of his deeds, the sultan «dismissed the outcry of the scholars and continued to insist on the crucial need for a strong army to unite and defend the country», said El Hamel, adding that the sultan «argued that the slave origin of the Haratin justified their current servile status». The debate between Moulay Ismail and Muslim scholars in Fes was carried until 1708, when he «forced them to approve Diwan al Abid», a register that was signed by Muslim judges and notaries, and sometimes witnesses. The register in question, known as Daftar Mamalik as-Sultan Mawlay Ismail, and quoted by El Hamel, contained the names of black slaves, descriptions, and sometimes names of their parents, children and grandchildren who were born to slavery. According to the same historian, the register created an «equation of blackness» and «established a fictional hierarchy of categories of slaves». «These registers of slaves were carefully written to document the validity of the Sultan’s operation in acquiring all blacks to be used in his army», concluded El Hamel.